seed pods contain 4-6 seeds. Seeds are removed from pods and fungus-like coating is scraped or flamed off (author recommends scaping as much as possible and flaming the rest, as the coating can be thick and it's easy to end up turning the whole seed into a chunk of carbon if you just flame it). 4-8 seeds are chewed on an empty stomach (to minimize nausea). Seeds sold commercially are generally already removed from the pods. The seeds themselves resemble small chocolate chips, but are hard as rocks and have the coating mentioned above. LSD-like effects, but less intense, with less visuals. Trip lasts 6-8 hours; tranquil feelings may last additional 12 hours. Sleep is deep and refreshing after trip, however some users may experience a hangover characterized by blurred vision, vertigo, and physical intertia. Used by the poorer Hawaiians for a high. Shipping of these seeds became popular, as did a great controversy over the propriety of world-wide distribution. 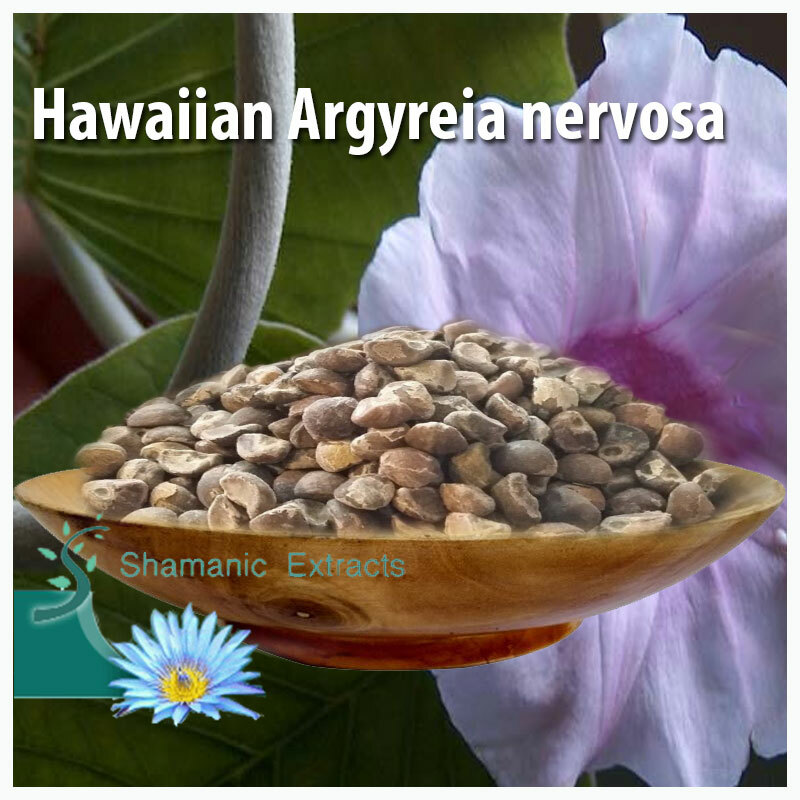 Share your experience about HAWAIIAN ARGYREIA NERVOSA with other customers. Submit your tips or thought on this product, be detailed and specific.